The Cyrus family are a talented bunch, that's for sure. There's Miley, obviously, Billy-Ray AKA country music legend, Miley's younger sister Noah who's cracking the music scene, older brother Trace who is in band Metro Station, and then her other sister, Brandi, and her Mum, Tish, who has a reality TV show. And now, Miley's younger brother Braison has cracked the modelling industry. 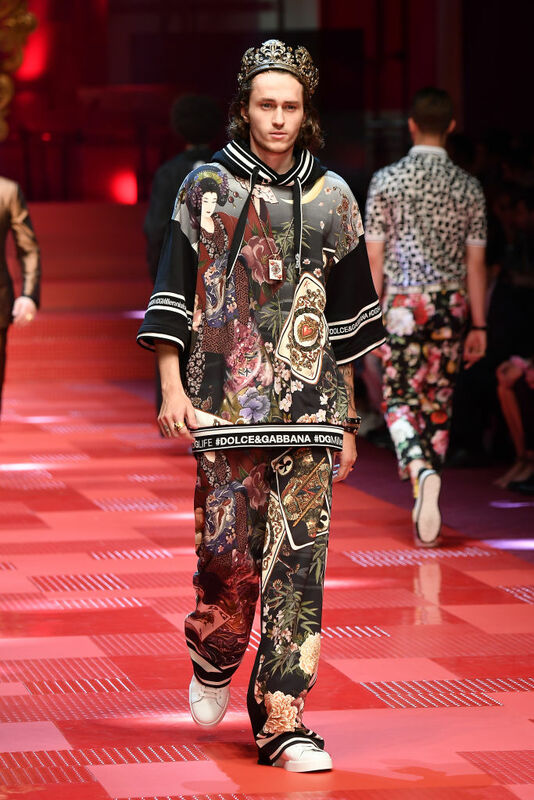 The 23-year-old just made his debut runway walk for Dolce&Gabbana in Italy! The looker has been signed up to a modelling agency since he was 18-year-old, but is also interested in music and has studied at Pasadena School of the Arts and New York Film Academy. But in case you had ideas of meeting Braison and falling in love, we'll let you know that he does have a girlfriend. Oh well, a girl can dream can't she?